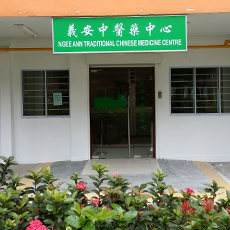 The Ngee Ann Traditional Chinese Medicine Centre, which has been serving the public since 2000, has now moved to newer premises at Blk 33 Bedok South Ave 2 #01-319(void deck).A subsidiary of The Ngee Ann Kongsi, a Teochew charity, the Centre continues to offer a range of quality Traditional Chinese Medicine treatments such as internal medicine, acupuncture, manipulation therapies, cupping, tuina and, etc. 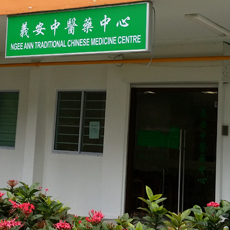 The charges of TCM services have been heavily subsidised by The Ngee Ann Kongsi to make it affordable for the community in order to serve more needy patients. Registration cut off time 12:30 pm & 5:30 pm. 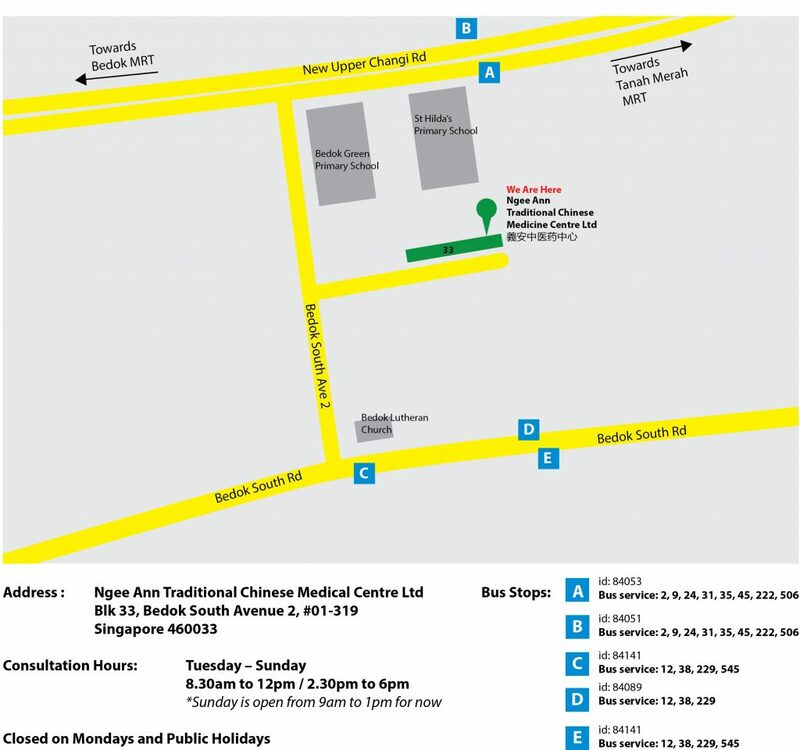 Sunday is open from 9am to 1pm. *All charges will be subjected to adjust according to the operation needs without prior notice.